Are u Selling too Low??? Are you Buying too High??? Are you being taken for a ride? Do you know how to check a Business? 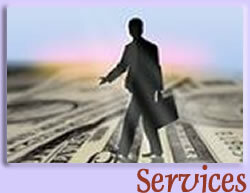 Complete representation for Buying or Selling a Business. I would like to inform you about a Legal Insurance Plan that I personally have been using for quite a few years and am very satisfied with. This Plan is offered by a New York Stock Exchange Company been in business for 30 years and provides the plan through an AV rated law firm. AV rating is the highest rating a law firm can have. All this for $25 a month and the plan INCLUDES your spouse and dependent children. Please contact me should you need more details.